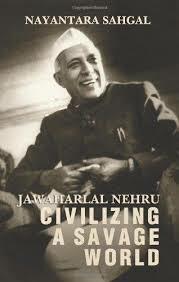 Perceptive, original and stimulating, Jawaharlal Nehru: Civilizing a Savage World draws much-needed attention back to the man and his unmatched ability to engineer a consensus among seemingly irreconcilable sides. Categories: Economics, History, Politics, Reference, Social Sciences, Sociology and Anthropology. Tags: 9780670083572, Indian foreign policy, Indian politics, Jawaharlal Nehru, Nayantara Sahgal. Written by Nayantara Sahgal, prize-winning novelist and political commentator, Jawaharlal Nehru: Civilizing a Savage World presents an intimate view of the influences, encounters and defining historical moments that forged the vision of India’s first prime minister. Drawing from the Nehru and the Vijayalakshmi Pandit Papers, and from Nehru’s letters to Sahgal, his niece, this book combines history with personal recollections to show how Nehru helped navigate India’s transition from a colony to an influential, modern nation. Discussing the significant issue of independent India’s foreign policy characterized by the non-alignment principle and the establishment of relations with the United States, Britain, the Soviet Union and China, Sahgal reveals much about Nehru’s political astuteness, realism and aversion to rigid economic doctrines, as well as the profound impact India’s non-aligned policy had on the world of the time.